Shawn Johnson received countless medals during her career as a gymnast. But on July 24, 2015, she received her first ring. 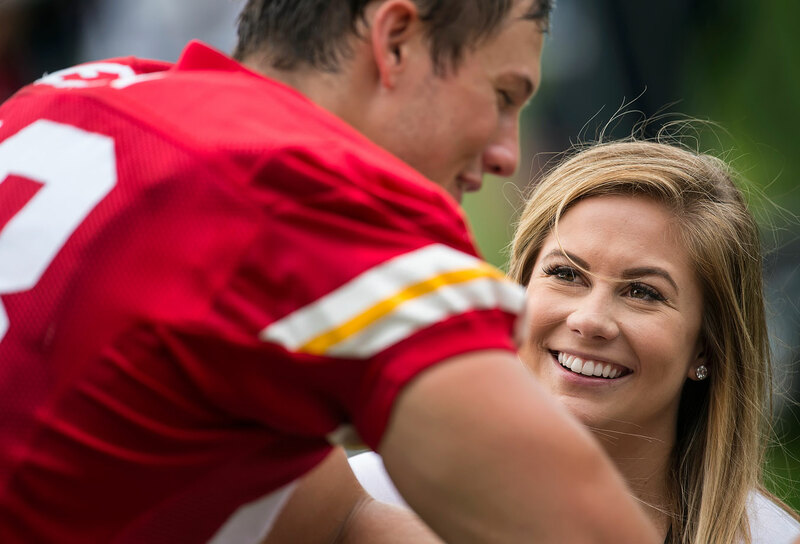 The former Olympic star became engaged to her boyfriend, Andrew East, at Wrigley Field before a Chicago Cubs game. Johnson won a gold medal and three silver medals as a member of the U.S. gymnastics team at the 2008 Summer Olympics. East, a former long snapper at Vanderbilt University, signed a free agent contract with the Kansas City Chiefs in May. 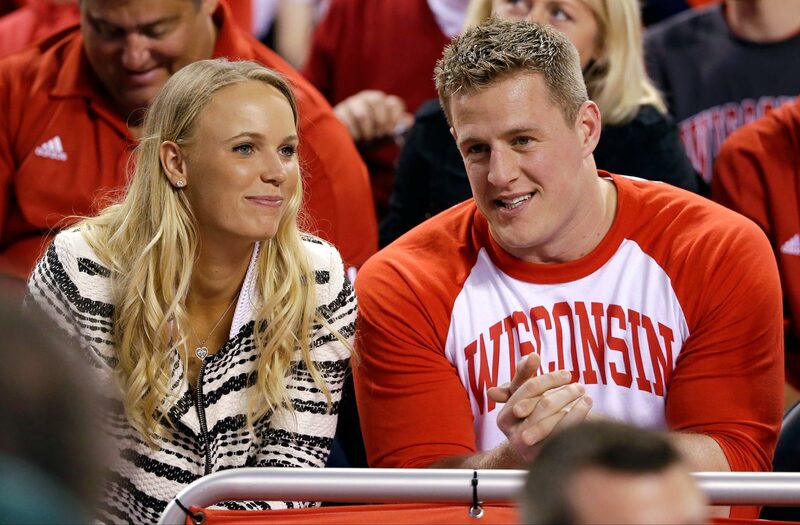 Tennis star Caroline Wozniacki and NFL defensive end J.J. Watt were seen together at the NCAA men's basketball national championship game between Wisconsin and Duke on April 6, 2015 in Indianapolis, leading to much speculation as to whether or not the two were a couple. After the two were spotted enjoying a private weekend in Fisher Island, Fla., and Watt was seen in Paris supporting Woz at the French Open, the speculation was over. 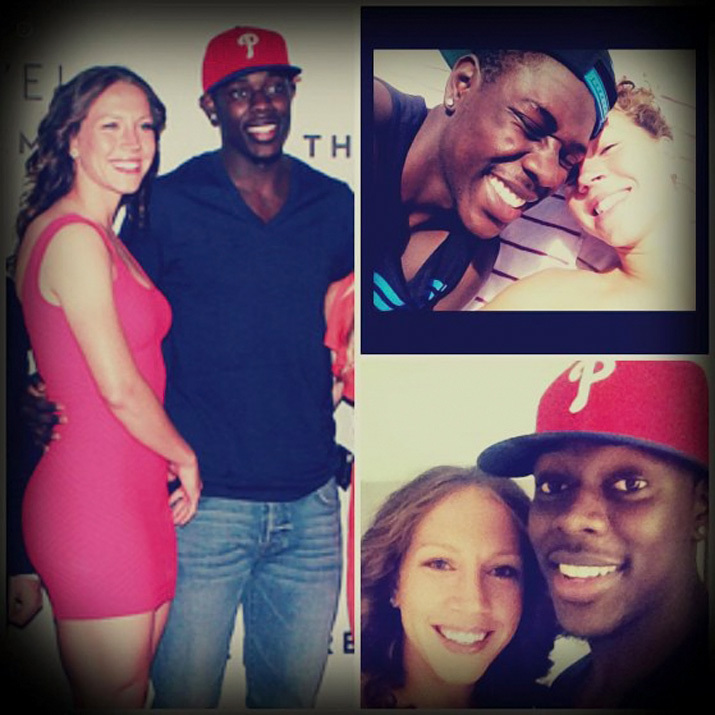 The NBA point guard and the two-time Women's World Cup champion started dating toward the end of their college careers at UCLA—she turned pro after graduation; he did after his freshman year—and they got married in 2013. 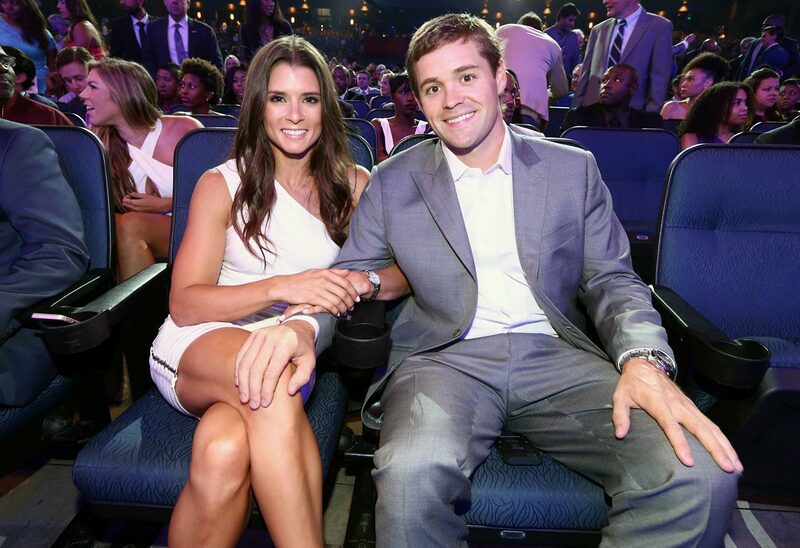 Patrick and Stenhouse had raced against each other for two seasons in the Nationwide Series, but waited to reveal their relationship until after the Charlotte Motor Speedway's annual media tour in Feb. 2013. Patrick may be one of the most recognizable drivers in auto racing, but Stenhouse more than holds his own on the track, winning eight races from 2011-2012 and consecutive Nationwide titles. Married in 2001, the royal couple of tennis holds 30 grand slam titles between them, not to mention an Olympic gold medal each. Now the proud parents of two children, Jaden Gil and Jaz Elle, they still pair up to play mixed doubles in exhibition matches. Former track athlete Mary Decker and British discus thrower Richard Slaney have been married since 1985 with one daughter. World Champion and Olympic skier Bode Miller married pro volleyball player Morgan Beck on Oct. 7, 2012, just three weeks after announcing their engagement via Twitter. The couple welcomed a baby boy, Nash, in May 2015. Former catcher Matt Treanor and retired professional volleyball player Misty May have been married since 2004. In June 2014, their daughter Malia was born. 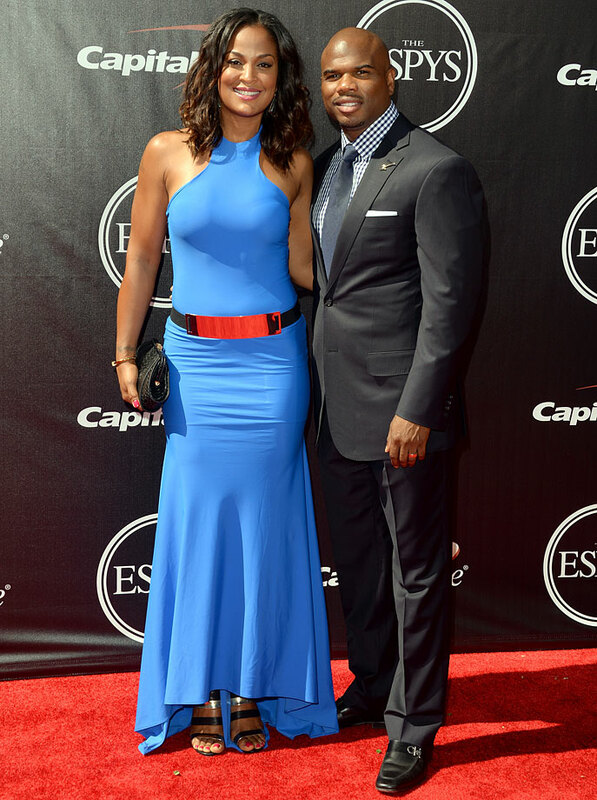 Retired world-class boxer Laila Ali and former NFL receiver Curtis Conway have been married since 2007. They have a son, Curtis Jr., and daughter, Sydney, together. 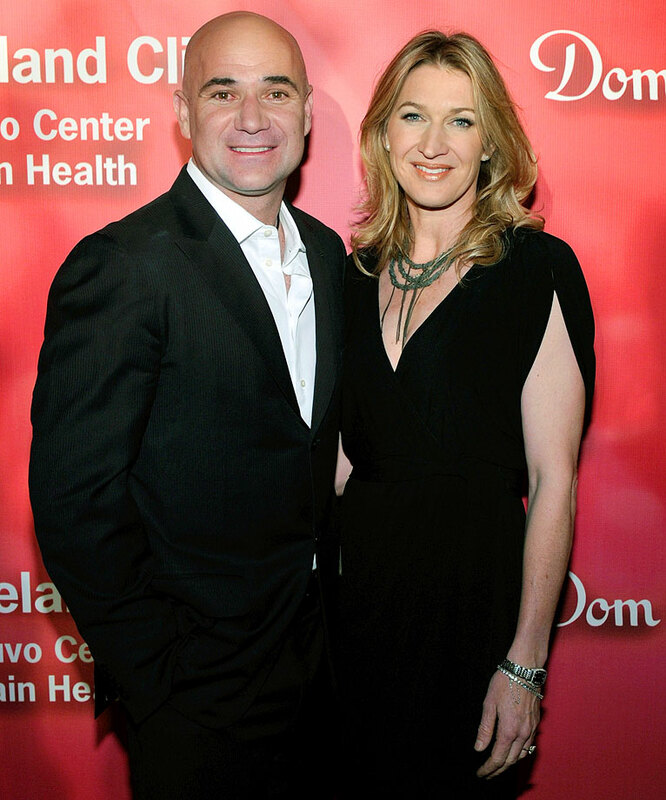 Professional beach volleyball players Kerri Walsh and Casey Jennings have been married since 2005 with three children — Joseph, Sundance and Scout. Professional volleyball player Gabrielle Reece and surfer Laird Hamilton have been married since 1997 with two daughters — Reece and Brody. Gymnasts Comaneci and Conner first kissed while holding silver trophies on the medal stand at the American Cup International in 1976. It took 20 more years, after each had won Olympic gold medals and Comaneci had escaped communist Romania, before they were finally married in 1996. They have a son together. Bryan Caraway ran a college MMA club at Central Washington University where he met Miesha Tate, a former high school wrestler who knew nothing about mixed martial arts. She went on to become the Strikeforce women's bantamweight champion in 2011 before joining the UFC in 2012. Caraway, meanwhile, has lost just seven of 27 fights since 2005. 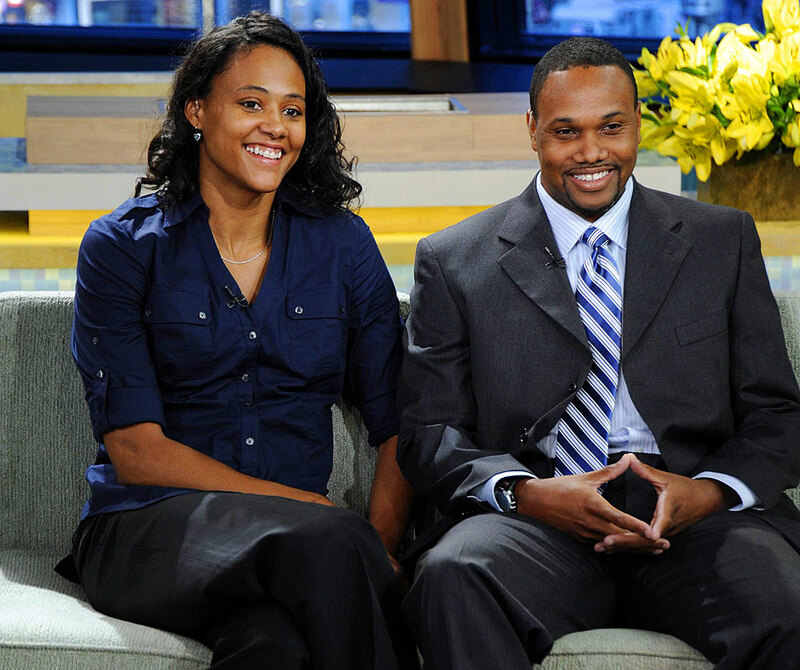 NFL cornerback Aaron Ross and track and field athlete Sanya Richards have been married since February 2010. Retired soccer player Mia Hamm and former ballplayer Nomar Garciaparra have been married since 2003 with twin girls, Grace and Ava, and a son, Garrett. Former Olympic track star Jones and bronze medal-winning sprinter Thompson have stuck together through Jones' 2007 admission that she used performance-enhancing drugs in rounding up five medals at the 2000 Summer Olympics. They have two children together — Ahmir and Eva-Marie. These pitchers might never have met if Daigle's teammate at the Arizona Diamondbacks' spring training in 2002 hadn't convinced him to watch Finch throw for the Arizona Wildcats. Since then, Daigle has remained unintimidated by Finch's 60-game NCAA winning streak or gold and silver medals in the 2004 and 2008 Olympics. The two have been married since 2005 and have three children — Ace, Diesel and Paisley. Parker married one of the few men who doesn't have to look up to her in the former Duke man. After drifting through seven NBA teams, Williams has played in the Euroleague and in China, while Parker has been a standout player for the Los Angeles Sparks since she became the WNBA's first rookie MVP in 2008. Either way, their daughter Lailaa has some serious basketball genes. Having first met at the 1992 Winter Games in Albertville, France, where he played for the U.S. hockey team and she won gold in women's singles figure skating, they didn't start dating until they crossed paths at the opening of Vancouver's hockey arena three years later. They were married in 2000 and have two daughters — Keara and Emma. 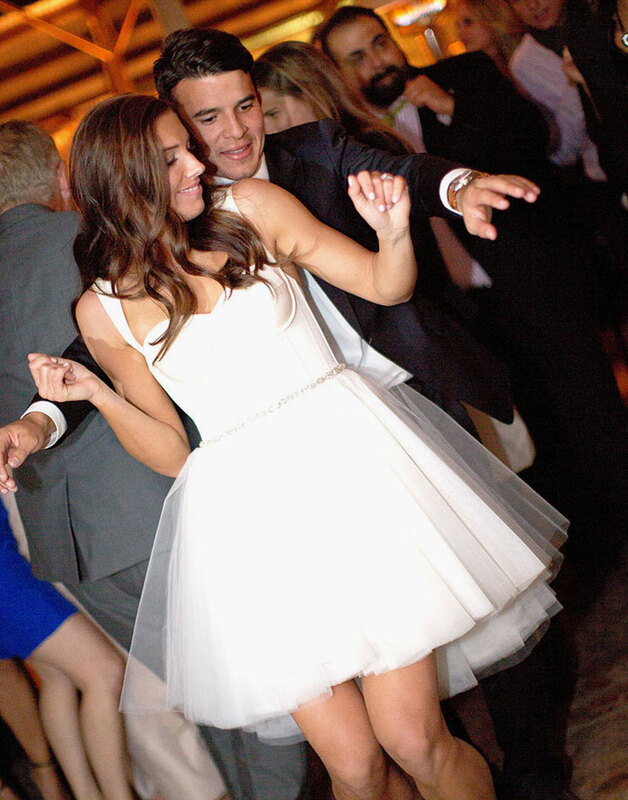 Women's soccer star Alex Morgan got engaged to MLS player Servando Carrasco of the Houston Dynamo in Dec. 2013. The pair were married a year later in a New Year's Eve ceremony. Former NFL quarterback A.J. Feeley and retired professional soccer player Heather Mitts have been married since February 2010. The couple welcomed their first son, Connor William Feeley on January 30, 2014. Granato led the U.S. women's hockey team to their first ever Olympic gold in the event in 1998, as well as a silver medal in 2002, while Ferraro was an 18-year veteran of the NHL. The two married in 2004. Both are tough as nails, which has come in handy when raising their two boys, Reese and Riley. (click here for full-size gallery). His dream girl is married. And I don't mean the tennis player/swimsuit model. Speaking of dream girls, I was excited to see my favorite WWE diva Paige get some backup a few weeks ago when Charlotte and Becky Lynch joined her to form a new stable. The only problem is the name of their stable—The Submission Sorority—is also the name of an adult film series. Hip-hop mogul Percy Miller (a.k.a. Master P) played the 1998 preseason with the Charlotte Hornets and the 1999 preseason with the Toronto Raptors. Complex has an oral history of P's brief but memorable career as an NBA player. World War II veteran Eddie Shaw, 96, is confined to a wheelchair. His 60-year-old son was having trouble moving the wheelchair on the grass so he did what any good son would do. He invented an all-terrain tank-like wheelchair for his dad to ride around in. Rex Ryan ate dog biscuits for charity ... The Buccaneers' attempt to attract more female fans backfired tremendously ... Not sure how Adrian Peterson got off probation so early ... Ranking the best NBA centers of the '90s ... Can we get this judge to rule on Deflategate ... Someone at Vanderbilt just sent one of the more tone-deaf tweets of the year ... Don Cherry thinks Tom Brady is too handsome to cheat ... Bill Hader is coming to Brooklyn Nine-Nine ... The Prison Break sequel is officially on ... Arby's gave a special thanks to Jon Stewart. Tonight marks Stewart's final episode as host of The Daily Show. Baseball manager meltdowns never get old.